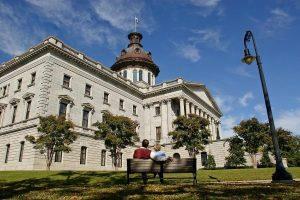 The state’s history with the Confederate flag has been long and divisive. To some it’s a symbol of racism, to others the flag portrays Southern heritage. 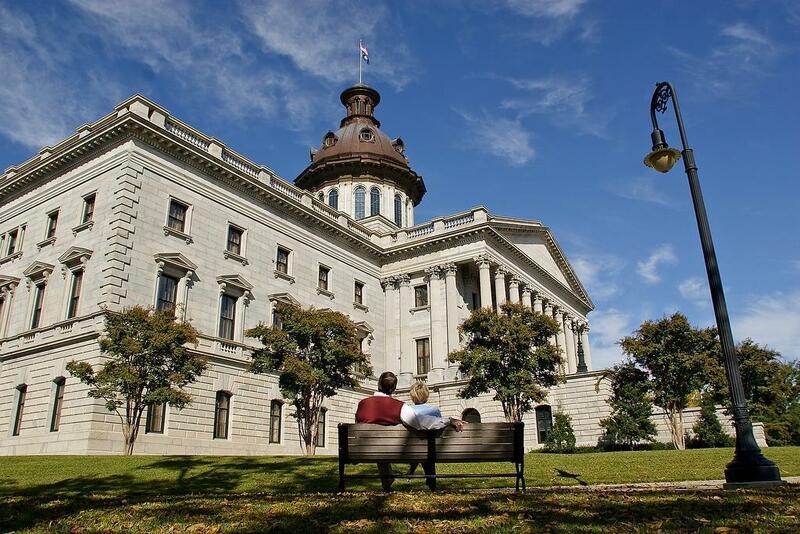 The National Association for the Advancement of Colored People (NAACP) on Jan. 1, 2000 announced an economic boycott of South Carolina in response to the state’s refusal to take the flag off the Capitol grounds in Columbia. The flag had been removed from atop the State House dome where it had flown since 1962, but protests continued with the flag’s presence on the grounds. In 2001 the National Collegiate Athletic Association (NCAA) honored the boycott and announced its opposition to the flag by not playing championships events at “pre-determined sites” in states where the flag was prominent. Honoring the moratorium, the Atlantic Coast Conference withdrew from a multi-year commitment to hold its 15-team, five-day championship baseball tournament in Myrtle Beach. Several college and university tennis teams from the Northeast stopped coming to Hilton Head Island for their pre-season training. The NCAA continuously curtailed the prospects of a Charleston post-season college football bowl. The economic loss to these and other destinations, including hotels, restaurants and attractions, has been significant. Shortly after a tragic Charleston church shooting in June 2015, South Carolina Gov. Nikki Haley called for the Confederate flag to be permanently removed from the Capitol grounds, saying, “The time has come.” The state legislature had an emotional debate and subsequent vote to remove the flag as a public symbol. On July 10 the flag was removed from the Capitol grounds. The following day the NAACP board of directors, in an emergency resolution at the national convention, voted to end the 15-year economic boycott. Shortly thereafter the NCAA announced South Carolina could bid to host NCAA championships. While the anticipated influx of post-season tournaments is certainly a positive for the host programs, it really impacts the destinations’ hotels, restaurants and supporting businesses. The local host and destination know the numbers and apply numerous variables before submitting their bid. The length of the event, number of teams involved, men vs. women events, proximity of teams to the event, visitor spending patterns and other variables are considered. The bottom line for South Carolina sports tourism: hosting collegiate championship events is a good return on investment. In less than two years since the lifting of the economic boycott, major conferences are bringing championship tournaments to South Carolina. After stints in Maryland, North Carolina and Indiana, the 2016 ACC Men’s Soccer Championship will be held Nov. 13, 2016 at the Medical University of South Carolina (MUSC) Health Stadium. The first rounds, quarters and semifinals are held on the campuses of the higher-ranked team. Having won seven of the past 11 National Championships, the ACC is considered one of the best men’s soccer conferences in the country. Seven teams earned NCAA bids after the 2015 season. MUSC Health Stadium is a privately funded, English-styled, soccer specific stadium. It seats 5,100 fans, offers concessions and The Three Lions Club pub. The Championship is traditionally televised on an ESPN network, making the stadium’s state-of-the-art media capabilities an important factor in being chosen as a championship site. The Sunday game will cap an exciting weekend for players and fans as they explore and experience historic Charleston. The two-time defending University of South Carolina Lady Gamecocks basketball team will play the league championship in its home state for the first time since 2005. 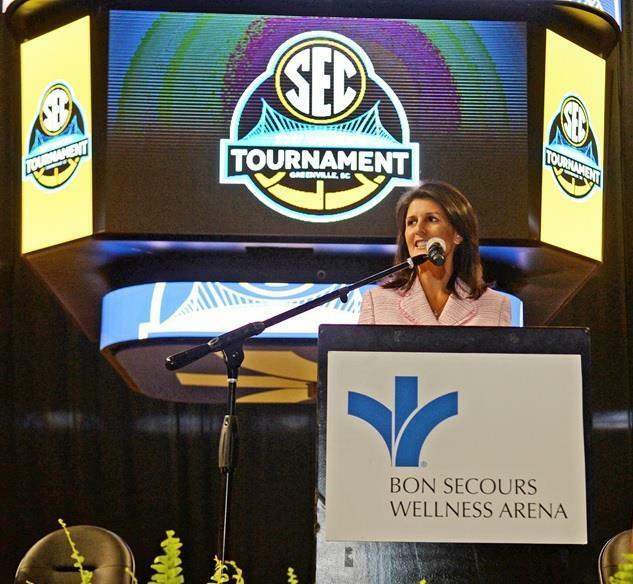 Fourteen teams will travel to Greenville, South Carolina for the 2017 Southeastern Conference (SEC) Women’s Basketball Tournament, set for March 1-5 at the Bon Secours Wellness Center. “The Well,” as it’s known locally, seats 12,281 in its upper and lower bowls with another 1,290 retractable seats available in the lower bowl. No stranger to basketball, the popular venue hosted Clemson University during the 2015/2016 season while renovations were underway at their home, Little John Coliseum. Up to 25 team members and coaches will compete for the championship with thousands of fans from each school flying their colors and rooting their team on. Add a contingent of media and Greenville will experience a significant economic impact from this championship event. The Charleston Area Sports Commission, College of Charleston and North Charleston Coliseum will host the Colonial Athletic Association (CAA) 2017-2019 Basketball Championships. The Coliseum has a seating capacity of 11,000. The dates will be March 3-6, 2017; March 2-5, 2018; and March 8-11, 2019. The exciting 10-team league features squads from major markets like Boston, Philadelphia and Baltimore. In addition to live video on each school’s website, the Charleston dateline will be prominent in newspapers and broadcasts from South Carolina to Massachusetts. With 20 players and coaches on the average roster coming to Charleston for up to five days, everyone looks for the Charleston area to have a nice return on their investment. The NAACP boycott and NCAA adherence that followed had a serious impact on South Carolina sports tourism—and tourism as a whole. The intent of the NCAA when it joined the boycott was to keep Division I basketball championship sites outside of South Carolina. With the lifting of the boycott last year, there’s little doubt that Colonial Life Arena in Columbia will be on the short list to host an NCAA basketball championship event, soon. How Much is Too Much for a Youth Sports Complex?